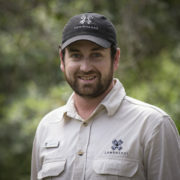 There’s no better way to start your day in summer than waking up to the dawn chorus in the African bush. The chirp of birds, fresh floral and aromatic smells of the vegetation all around us as well as the petrichor from the thunderstorm that rolled in during the night, soaking the soil. Sunrise here can’t be described but only smelt and felt. Some animals begin waking up as others end their evening activities and head for thicker vegetation to rest the day away. 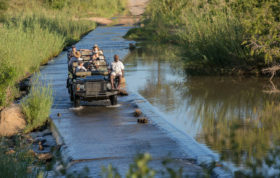 Leaving camp for game drive the atmosphere is electrifying; stories left from the night activities are portrayed in tracks on the ground, and starting the deciphering of what went on the night before is just a part of each day’s adventure. Although nothing beats the early rise before the sun, there is a different, less-experienced aspect that can be explored as the sun drops below the horizon. 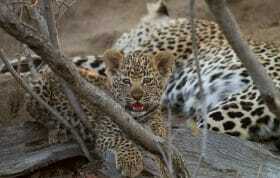 Whoops of hyenas fill the surrounds as our vision becomes limited by darkness. Predators begin their evening patrol. Recently I had the good fortune to drive National Geographic wildlife photographer Sergey Gorshkov. 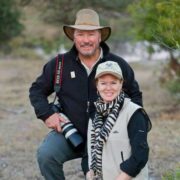 Our aim was to focus on various predator interactions, and our search for unique shots allowed for much time out in the bush hoping for the unexpected. When a hippo succumbed to fatal injuries inflicted by another bull, the aftermath around its carcass allowed for many unique photographic opportunities. Days were filled with vultures descending from all surrounds, which in turn attracted hyenas, lured in by the decaying carcass and putrid smell of rotting flesh. 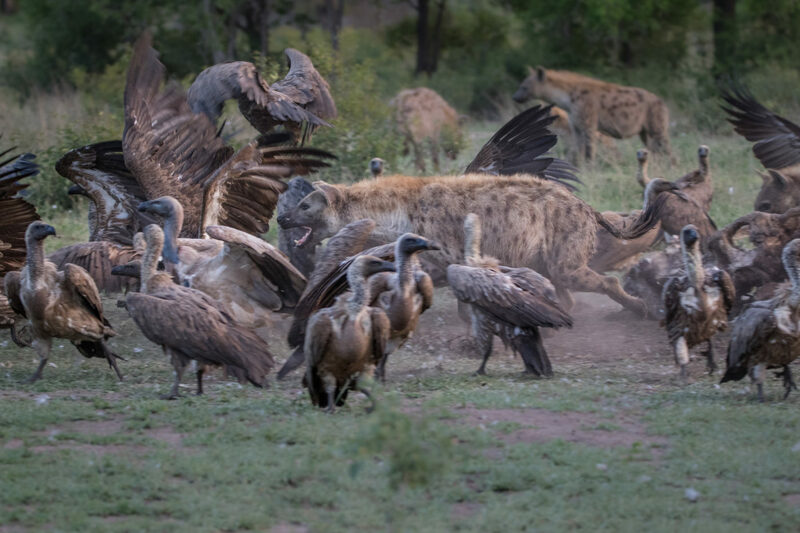 Hyenas snapping away at feeding vultures provided bursts of excitement. The feeding frenzy created interesting interaction between these hyenas and one could easily see the submission, aggression and dominance of a feeding hierarchy. It was incredible to spend prolonged periods of time at the scene and witness these behaviours. Although this sighting is from a few weeks ago, I felt that some of the interesting angles and photographic opportunities that presented themselves were still worth sharing; particularly the pictures from after dark. 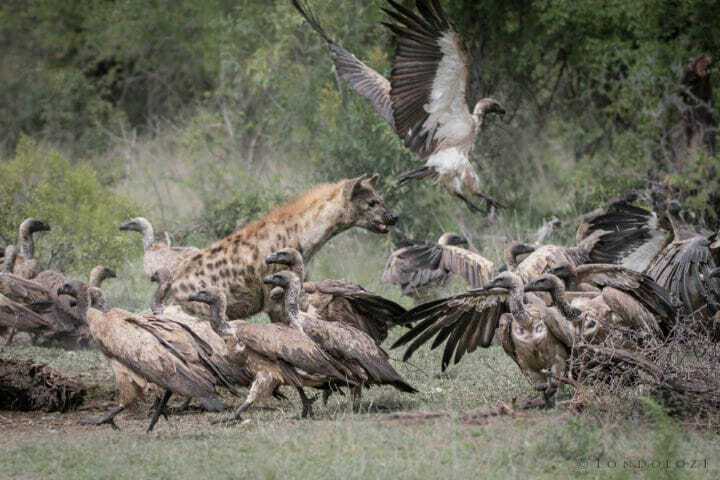 A hyena snaps away at the nearest vulture which feeds on the meat it could have possibly eaten. Hyenas would constantly drive the vultures away as they tried to feed, yet the vultures would always return in swarms to get their long awaited share of the carcass. 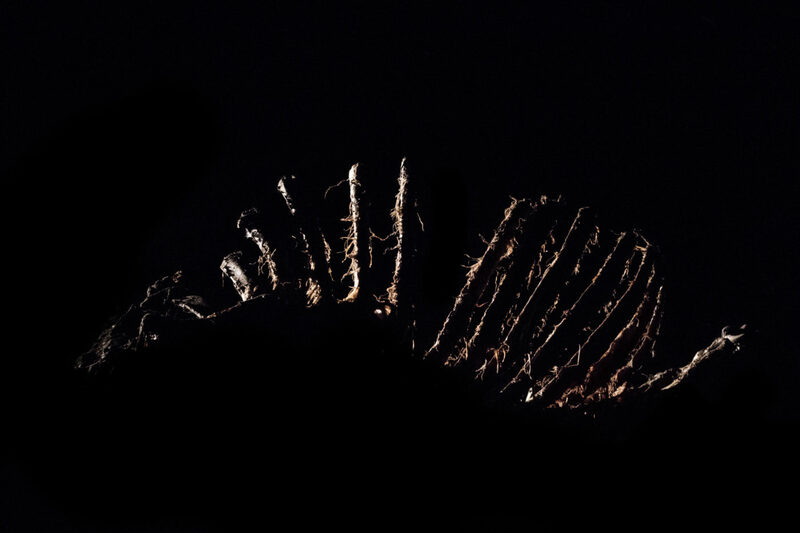 After much had been eaten and the rib cage had been picked clean by vultures, interesting photographic ideas started forming. How could one portray the mysterious and eerie scene of hyenas feeding? The idea of lighting under darkness became the plan. Side-lighting accentuating the mystery of death and the dramatic look of a stark ribcage, with the outline of a hyena… that was the money shot we were aiming for. We began painting the picture in our minds, and now we just needed to be patient, hoping it would unfold. Darkness fell and assistance from other rangers allowed for incredible lighting, capturing the story. Hyenas fed in a frenzy, constantly lifting their heads, aware of any approaching danger. Snarls, growls, giggles and whoops filled the night. The setting we envisioned, yet no hyena visited during the first evening we waited. 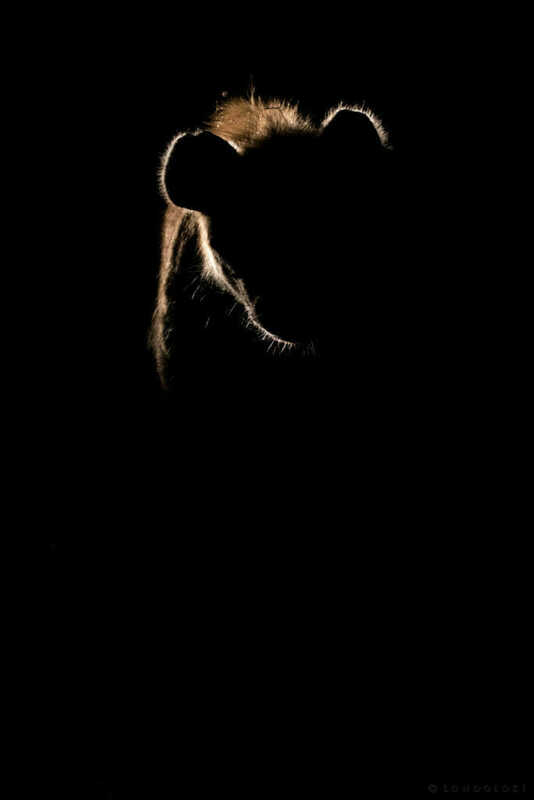 From the darkness, lured in by the frenzy, stepped the old Tsalala lioness. Hyenas scattered and she began sniffing the possibility of a free meal. Moments later chaos erupted. 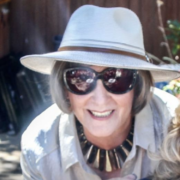 She was mobbed by over twelve hyenas. The atmosphere was intense. Deep guttural growls came from the lioness while whoops, giggles and whines came from the bobbing heads of the hyenas. 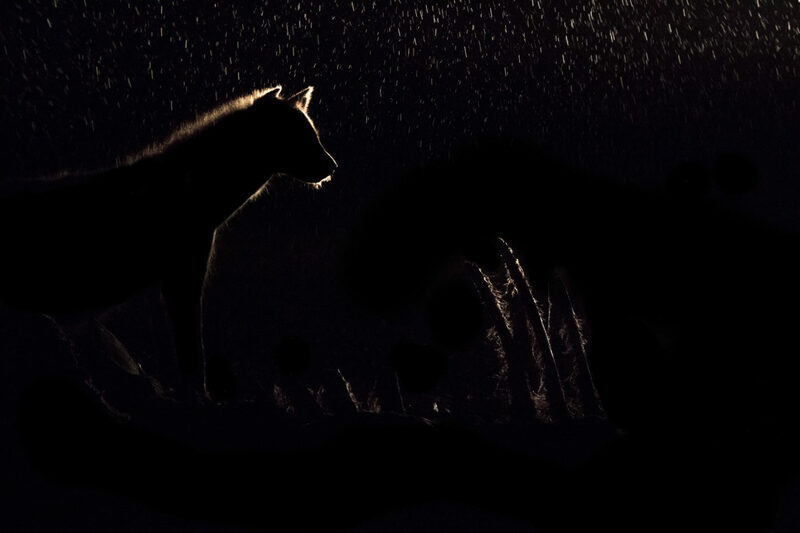 Eventually the overwhelming sounds and bites from hyenas drove the female off and the hyenas continued their feast. The side lighting set the mood and our story was being captured. The overcast night’s sky became heavy and opened with light rainfall, adding to the mood and mystery of the scene. It’s what we were after and patience and persistence was paying off. In a few days the carcass was reduced to mere bones. 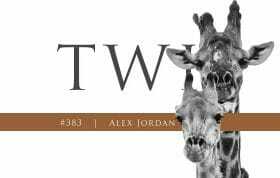 All that remained of a two ton animal was just a skeleton; scattered bones and a few `photographs to tell the story. It was incredible to watch the circle of life and how nothing goes to waste, as well as the feeding roles of the hyenas and other scavengers that came calling, and the hierarchy between them. The following back-lit images capture the night under the cover of darkness, most settings were shot in manual, ISO 2000-2500, f5.6, 1/80-100. 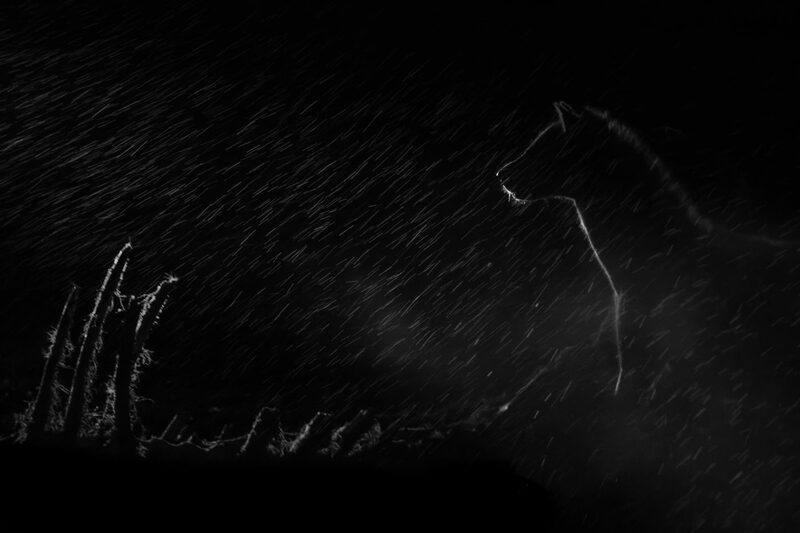 The hairs of the hyena and rain droplets illuminated by side-light adds to the mystery of the scene. A feeding frenzy. Hyenas head down, feeding rapidly but for one individual. They would constantly lift their heads to look and listen for any approaching danger. A side lit profile of a hyena standing tall looking out into the darkness as rain gently starts to fall. One of the shots we were after. 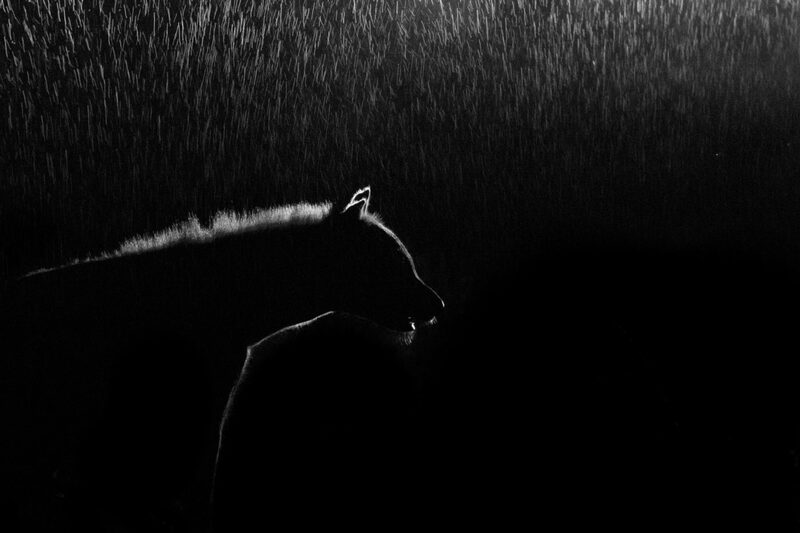 A hyena with illuminated rib bones as the rain begins to pour down. The Tsalala lioness was attracted by the feeding commotion and settled down next to the carcass before being chased away by a force of twelve strong hyenas. 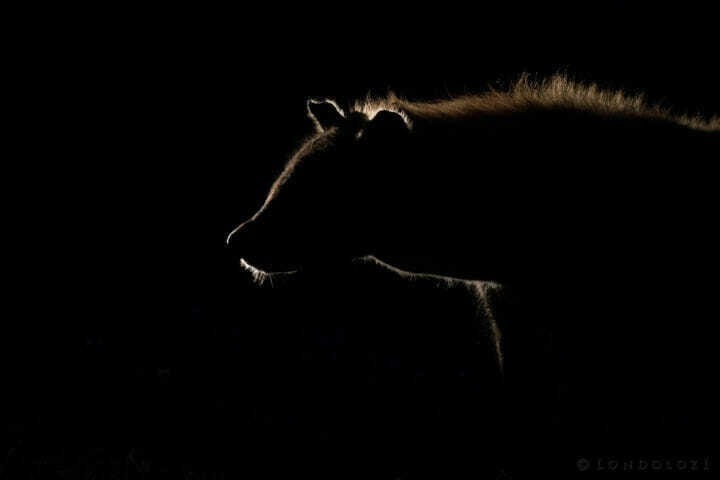 The eerie stare of a side-illuminated hyena as it approaches to investigate our vehicle. Side-lighting outlining a mysterious yet incredibly successful scavenger of the night. on What Happens When the Lights Go Out? Incredible images. The first picture if just the rib cage and no hyeana is stunning. Amazing experience with the tailless Tsalala female. Ah patience and the opportunity to think out and plan shots, can pay dividends. Guests would often benefit by being prepared to sit it out . 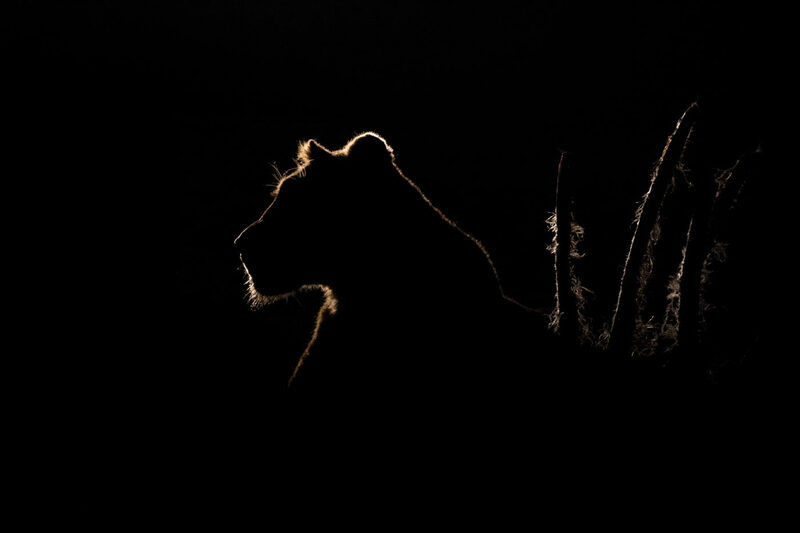 The nighttime photos are absolutely stunning, certainly some of the most creative wildlife shots I’ve ever seen. Alex, I so love these night shots with the different lighting. Thanks for sharing. 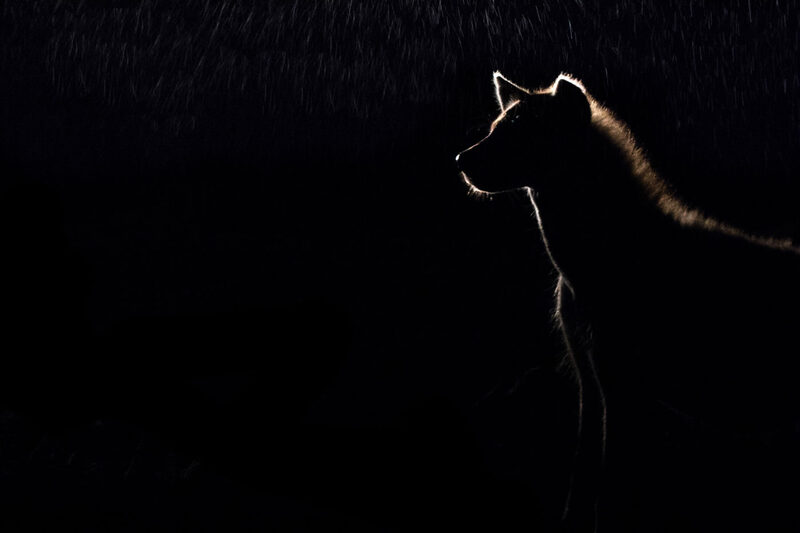 It’s fascinating to see what is missed at night, the interaction and how food needs are met….or lost. The photography is truly superb, as is the story telling. Well done, Alex! Fabulous story and images. I could imagine being there! Really amazing Alex! Such an amazing opportunity and some terrific results. I’m only a little jealous. Great article and pics. 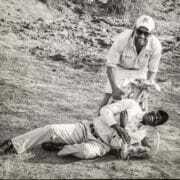 It would have been nice to see some pics of of lion- hyena interaction. I’m surprised that one single lioness was enough to drive a clan off the carcass. It was obviously short lived once they realized she was alone. It’s equally surprising that her pride or other lions did not come to investigate the commotion around the carcass. 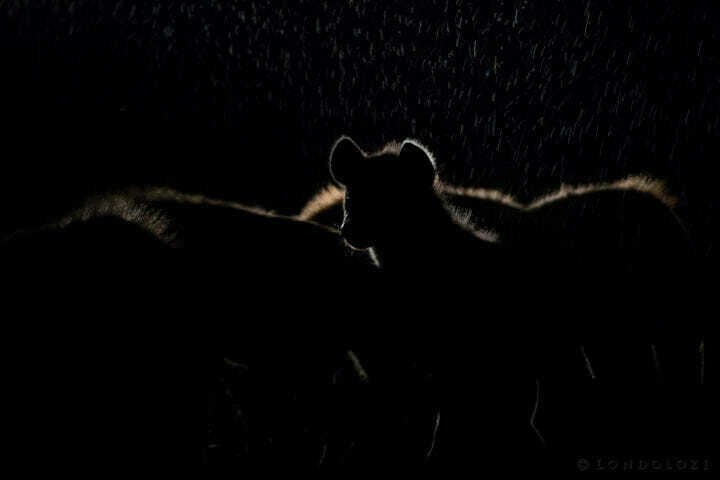 The stunning wildlife film, Eternal Enemies by Dereck and Beverly Joubert chronicles lion- hyena interactions at night. It is one of the greatest wildlife films ever made. I strongly recommend it to anyone that has not seen it and is curious about life in the African bush under cover of darkness. 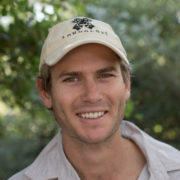 Thanks for the amazing images Alex! I wonder how many shots you took for the whole experience to just get those few you shared? Must have been a lot! Well done story!